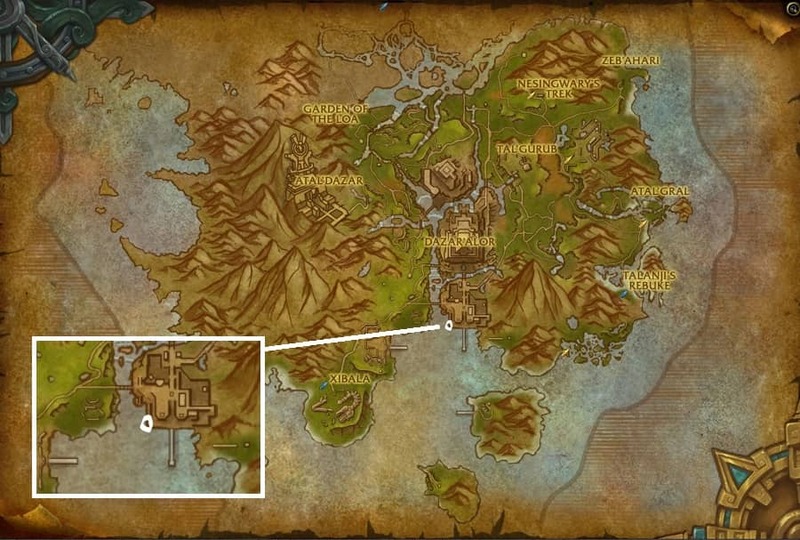 With mythic keystones out this week you may be asking yourself where the dungeon entrances are spread across Zandalar and Kul Tiras in World of Warcraft‘s newest expansion, Battle For Azeroth. We’re going to whisk through all 10 dungeons with their locations. We’ll be starting with all those found in the Alliance continent of Kul Tiras, and then moving to those entrances in Horde’s Zandalar. Surprisingly enough, you’ll find the mythic and mythic+ only dungeon Siege of Boralus in Alliance City, Boralus. 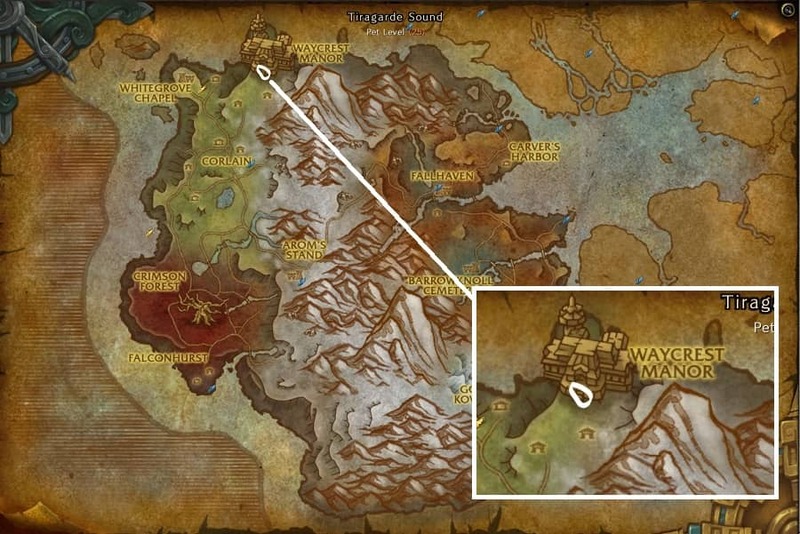 For Horde players, you will need to finish “At the Bottom of the Sea” from your main Horde War Campaign before you can access the dungeon. Horde and Alliance players take separate entrances into Siege of Boralus. 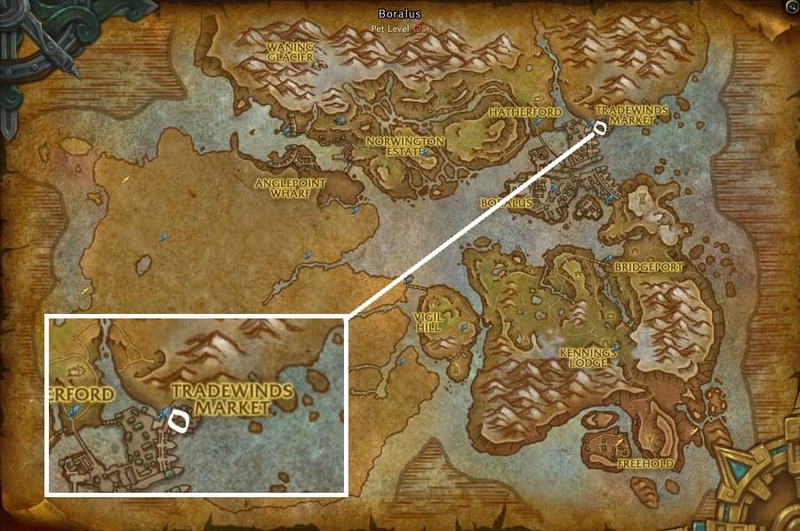 The Alliance entrance is underneath Tradewinds Market, so just jump into the water and you’ll see the arch to get to it. We’re staying in Tiragarde Sound for the next dungeon, Freehold. A pirate-themed mob laden-place. You’ll find the entrance to Freehold in the South of Tiragarde. 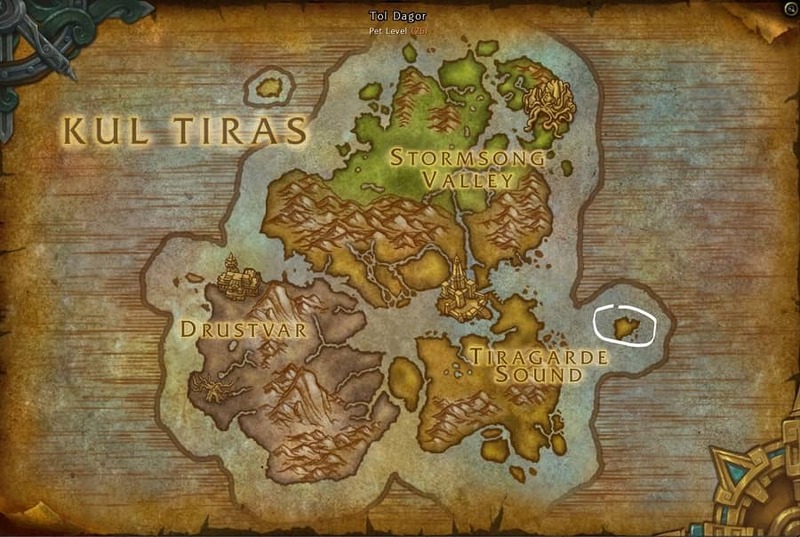 Alliance players will most likely get there first through questing in Tiragarde Sound, and then a simple flight point there nearby. 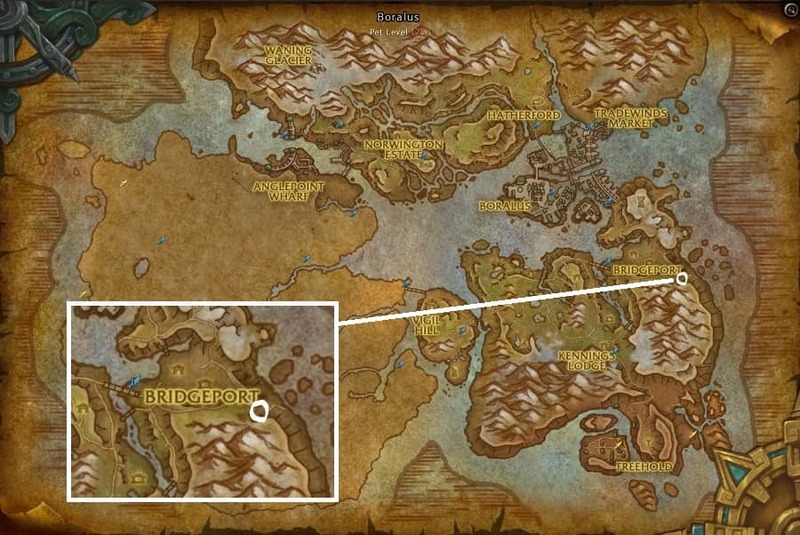 Given the flight point’s gold colour, Horde players will also be able to fly there from their respective camps in this Alliance zone. Freehold entrance in Tiragarde Sound. Yarrrgh! Staying in Kul Tiras, Stormsong Valley is where you’ll find Shrine of the Storm’s entrance. As you can see, it’s easy to get there for Alliance, but Horde have quite a run to get there for mythics. It’s a watery, mind-bending, tentacly place. A great holiday destination, Tol Dagor, is a prison. 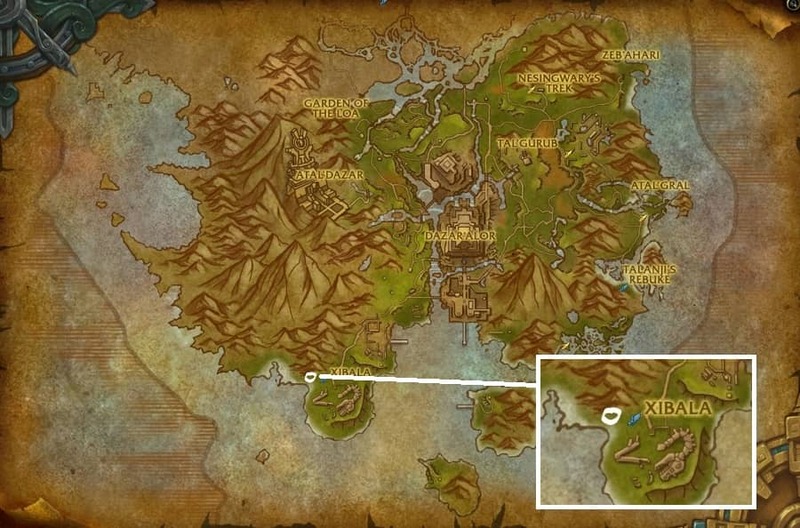 It has its own zone off to the side of Kul Tiras to the east. It’s time to get running across the water, so hope you have a water walking mount, or a Shaman, or a Death Knight to get there the first time. There’s a flight point there to unlock once you get there, so no trek across the seven seas on repeat visits. Tol Dagor, now booking for your next summer holidays. The last within Kul Tiras, and it’s a bit of a pain. The way you go through it changes depending on which doors are open/closed. It’s a very gloomy looking Manor and reminds me ever so slightly of the one in Crimson Peak. And it’s found in the most gloomy of Battle for Azeroth‘s zones, Drustvar. 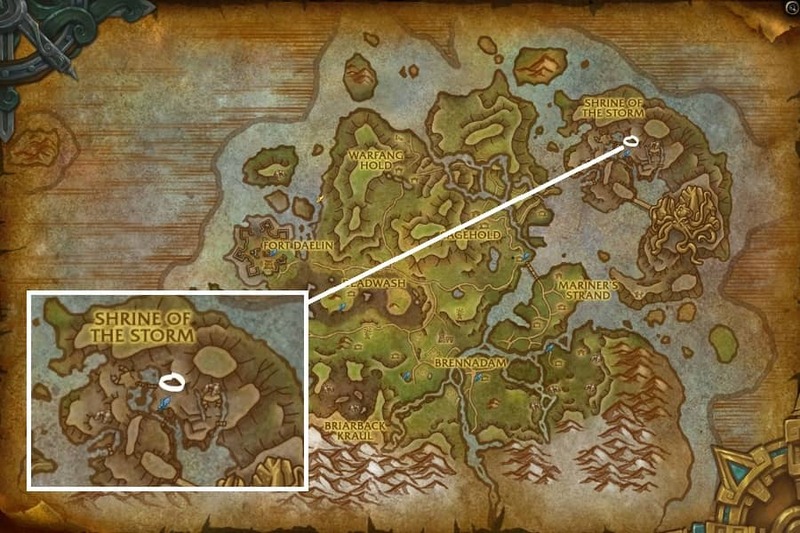 Again, by going through the zones’ story, Alliance players will get there and with a quest. 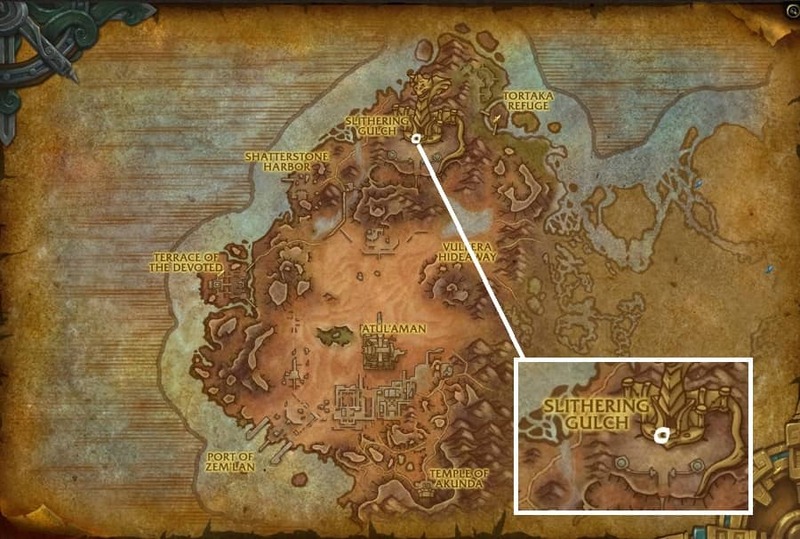 It’s a hard location to miss on the map in Drustvar’s North West. It fits with the main threat of the zone in witches and magic. Complete with an organ sting on big witch kills. 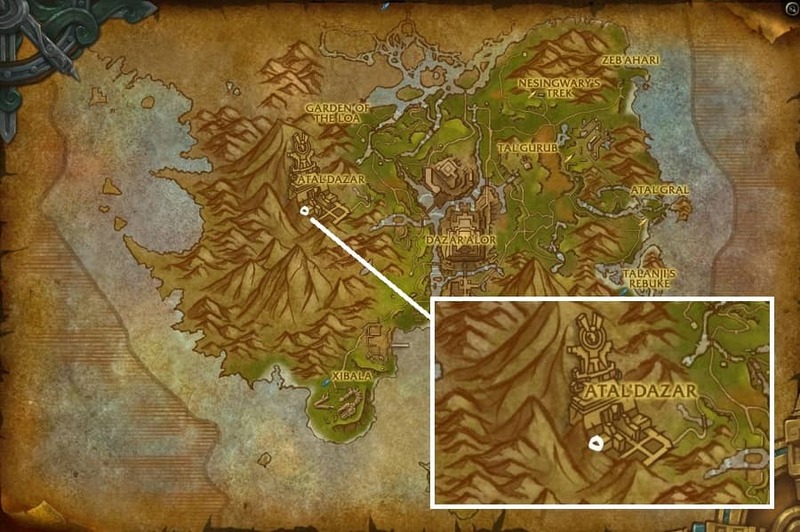 Atal’Dazar is one of five dungeons found in the Horde continent of Zandalar. 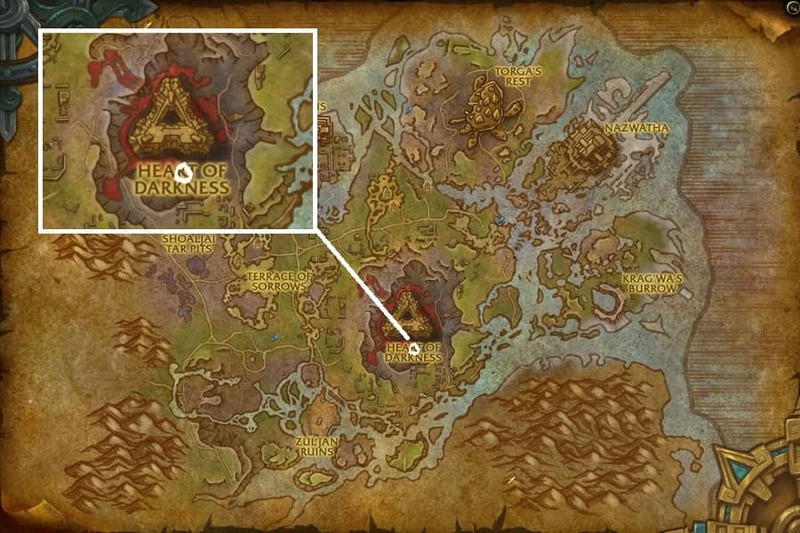 It’s found in the annoyingly designed Zuldazar which is a pain to get around no matter where you are – especially for Alliance players. Here, you’ll fight trolls, trolls and more trolls. And quite a few dinosaurs too. It’s quite the run for either faction, but Alliance have to be careful getting near any PvP-enabled mobs on the way. 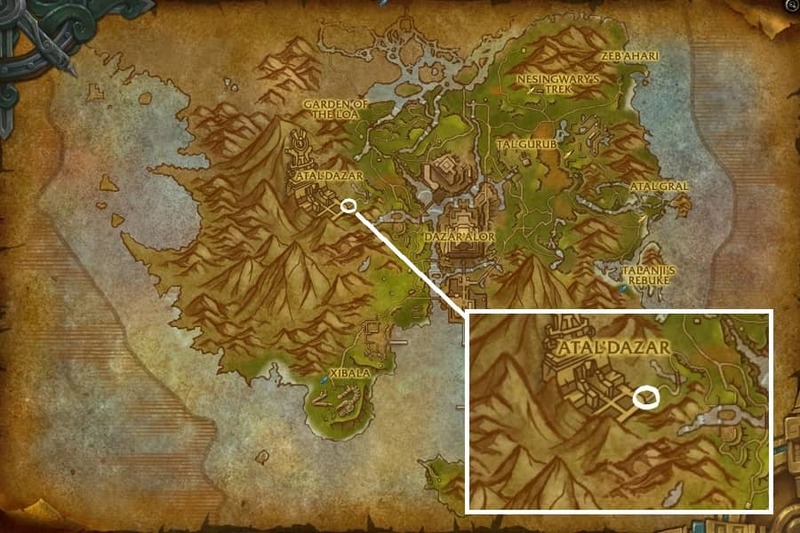 Staying in Zuldazar, and very close to Atal’Dazar is King’s Rest. 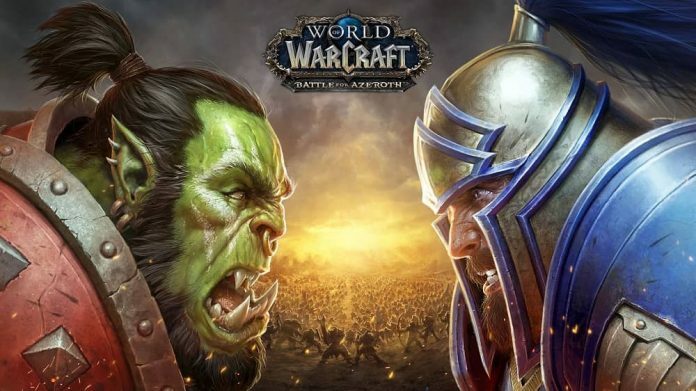 Like Siege of Boralus, it’s the Alliance this time that will need to complete a part of the Alliance War Campaign before getting access to King’s Rest. 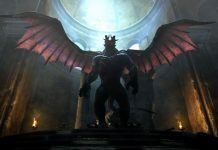 “Blood in the Water” is the requirement within the campaign to unlock it. King’s Rest in Zuldazar in Zandalar in World of… Warcrar…? Dammit, Zuldazar could you have at least one less dungeon? Jeez. We’re there again for The MOTHERLODE!!. It’s filled with mechanical creations and many goblins. Many will shoot players with Ice Spritzers and drink Refreshments, and dance, so I don’t really know why we’re bothering them – they’re just having a party! This one has two entrances again, one for Alliance and one for Horde. In the red wastelands of Vol’dun, Temple of Sethraliss can be found. This dungeon has a lot of things going on. You’ve got the arrows gauntlet (thankfully nerfed on mythic after the sheer panic of it), the lightning balls gauntlet, putting in the eyes as well, and a final boss that counts on healing the boss rather than killing it. Temple of Sethraliss in Vol’dun. This is the dungeon I most want to avoid in mythic keystone because, boy, can it hurt! A lot. 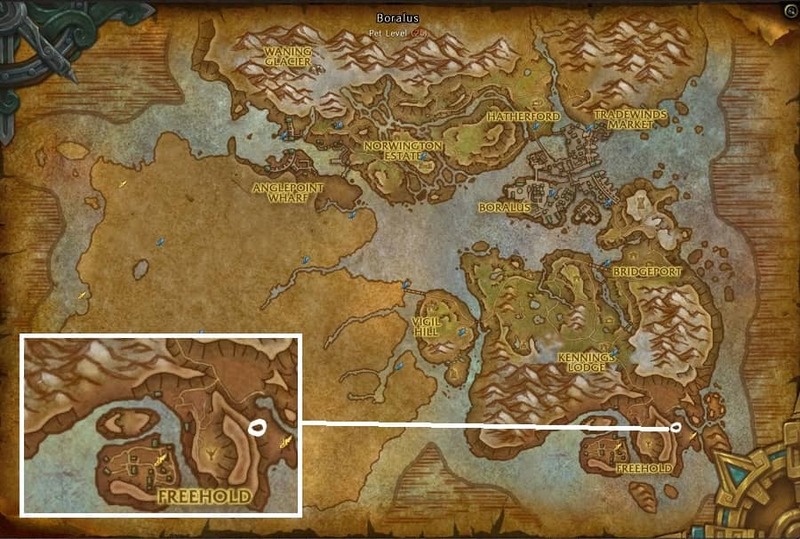 The last zone we haven’t seen in this list yet is the swamplike Nazmir. What can I say, the Alliance have the better zones, sorry. Every boss in here is the worst… until you do the next boss. Of all the dungeons, the Underrot is the one I’ve encountered the most problems with. The entrance is very close to the raid, Uldir, but if you keep looking for a way down, you’ll eventually end up at The Underrot. The Underrot in the Heart of Darkness – sounds like a metal album.